Justice for Rasmea! Support her Oct 14th Appeals Trial | INCITE! Rasmea Odeh is a 67 year old Palestinian American community leader who was tortured by the Israeli government in 1969. On November 10, 2014 in front of supporters in the courtroom, Rasmea was found guilty of one count of Unlawful Procurement of Naturalization. Her appeals trial begins October 14, 2015 in Cincinnati. Learn how to help here! 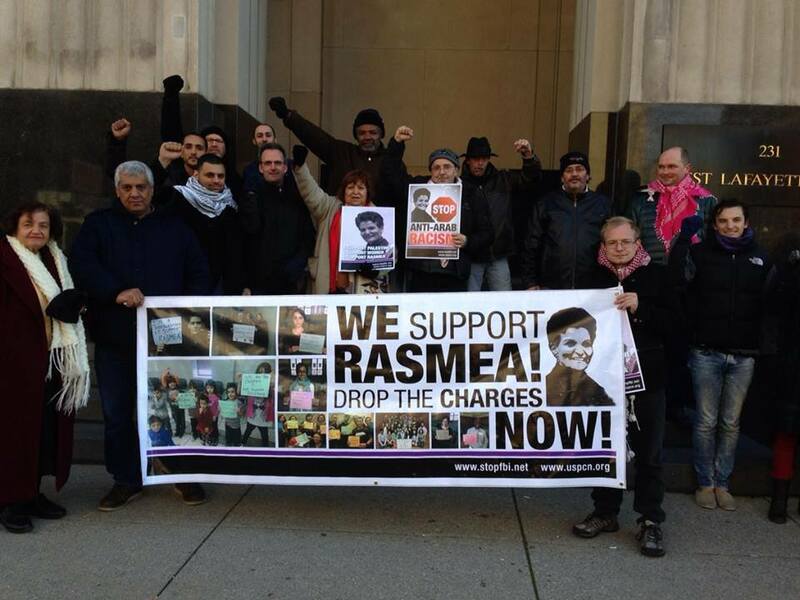 Stand with Rasmea and fill the appeals courthouse in Cincinnati! Buses and carloads attending from Chicago; Ft. Wayne & Indianapolis, IN; Cleveland, Youngstown, Columbus & Cincinnati, OH; Florida; Milwaukee & Madison, WI; Grand Rapids, Flint, Dearborn & Detroit, MI; Minneapolis; and more! Still a few spots left if you wanna GET ON THE BUS from Chicago for the appeal! We’re only about $1,500 short of raising the money to pay for the two buses we’re taking from Chicago to Cincinnati. Please help us reach the goal here! We will be gathering at 10 PM the night before the appeal, Tuesday, October 13th, 2015, but you cannot just show up. You’ve gotta sign up first, and then you’ll be told where the pick up points are. Those who are driving their own cars and can take others, or would like to carpool, should contact Joe Iosbaker (joeiosbaker@gmail.com) by Tuesday morning, October 13th, at the absolute latest. While in Cincinnati, we will organize a support rally in front of the courthouse at 8 AM EST on Wednesday, October 14, 2015, and then fill the courtroom immediately thereafter, as Rasmea’s defense and the prosecution each present their oral arguments to a three judge panel. WHEN: Wednesday, October 14, 2015. Rally outside the courthouse at 8 AM EST. Oral argument for the appeal starts at 9 AM EST.